Approximately 400 employees work at the 348,000-square-foot Progressive Processing facility in Dubuque, Iowa, where chunk-chicken items, Hormel® Compleats® meals, bacon toppings and SPAM® products are produced. 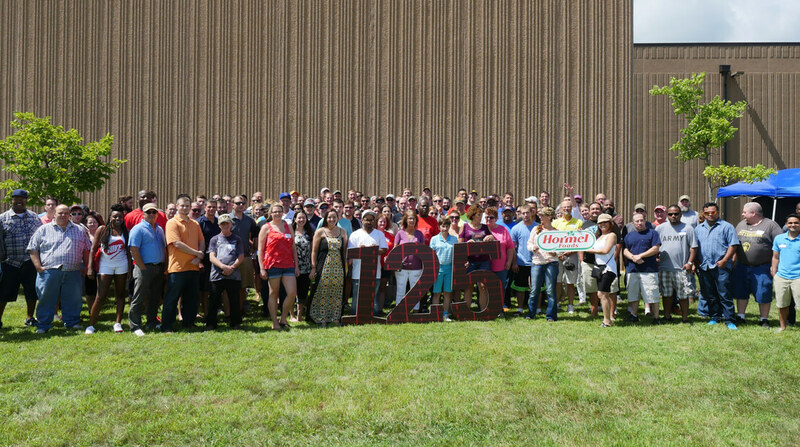 Progressive Processing employees celebrating Hormel Foods 125th anniversary. The grand opening of Progressive Processing – the first new production facility built by Hormel Foods in more than 25 years – was celebrated in March 2010. Progressive Processing is located in Dubuque, Iowa.